Magz Hall is a sound artist whose work explores radio art in all its forms. Dream Space 2 creates an intimate space to listen to dreams via radios, inspired by an early surrealist radio programme of Robert Desnos in 1937 La Clef des Songes [The Key of Dreams] where listeners were invited to submit their dreams for interpretation and dramatisation, encouraging highly poetic responses from this interaction. 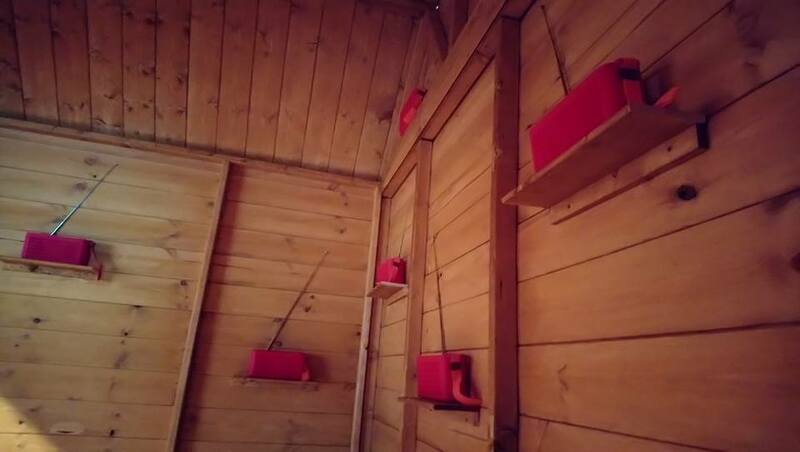 The artist has used wooden spaces to record and playback dreams to help illustrate her plans for a forest radio trail of dreams which she started as part of the Jerwood Open Forest Exhibition. The dreams aired were recently recorded by the artist in the space at former convent, The Nunnery Gallery in Bow during the Art For the Environment Exhibition, with music composed by Clay Gold.